I’ve been involved with Glow Blogs as product owner for a few years now 1. I think my main aim has been to avoid the stagnation that happened with the previous system and to keep the service as useful as possible for teachers and pupils 2. So far we have I think managed that by keeping up with WordPress releases and adding features to improve various different aspects. Since the rebooting of Glow in October 2014 there have been around 3 major releases of Glow Blogs every year. At the end of last session it was decided that these gradual improvements were going smoothly enough to drop back to one major release each year 3. It was also decided to formalise the way we get ideas for improvements a little. To do this we are trying to gather suggestions in one place as opposed to the rather ad-hoc system that was in place before. It seemed like a good idea to use the blog service itself to gather these ideas so a page has been added to the Help Blog for suggestions. Anyone who is interested can suggest ideas and these will be triaged into the release for next summer. This doesn’t mean that all suggestions will be taken forward. I’ve learnt my lesson a few times with suggestions of my own. Some ideas might be too expensive, some might be insecure or too difficult to implement in our setup. 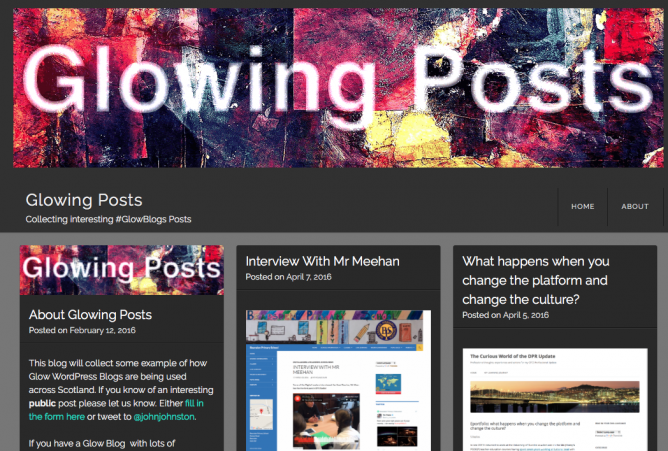 It was surprising how complicated adding features to Glow Blogs turned out to be. Glow Blogs is, I believe, the biggest WordPress set up in Europe so changes cannot be made lightly. On the other hand the service needs to met the needs of teachers & pupils in Scotland. If you are a user of blogs I hope you will take a bit of time to think of how the service could be improved. Then it is just a case of filling in the form and we will take it from there. If you leave contact details with your suggestion I’ll certainly get back to you, possibly with some questions. We will also post the suggestions as they are made to the help blog to allow others to comment or express interest. One more time, here is the link for suggestions. The cut for next years release will be at the end of November. 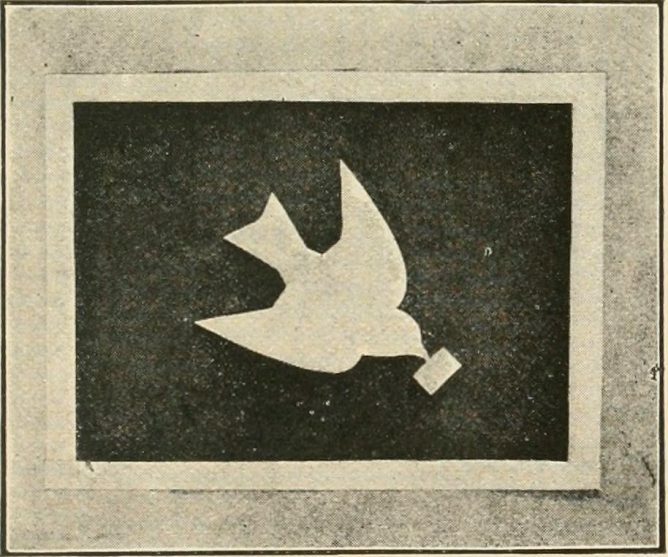 Featured Image: Image from page 196 of “Suggestions for handwork in school… | Flickr No known copyright restrictions. 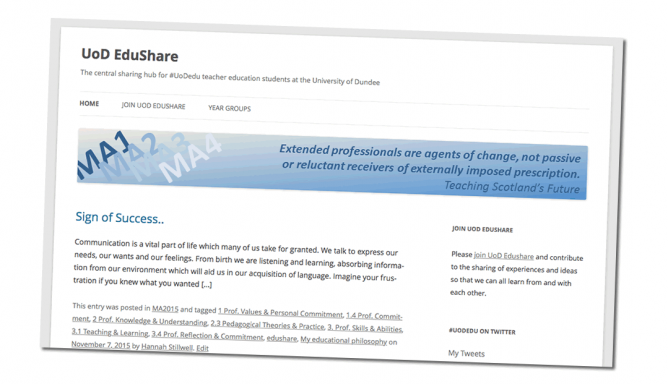 At the weekend during pedagoo muckle there was a mini TeachMeet. Everyones name was in a bowel and there was a series of random 2 minute talks. I though I was prepared with this tip. In the event I was quite glad I didn’t get picked all the people who got picked had two minutes of great ideas, as opposed to a wee tip. I did mention it to one or two folk at my conversation and it was well received so I though it would be work posting. One of the minor hassles I’ve been having with Glow and iPads is multiple logons. 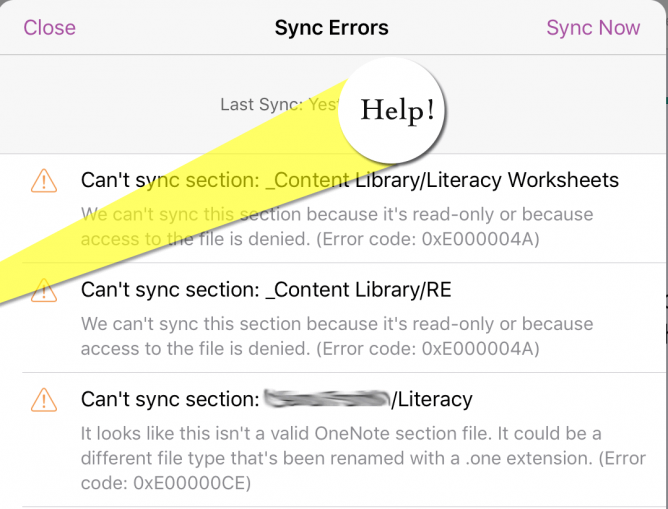 Some of the MS apps seem to get themselves in a state of confusion, requiring pupils to log on frequently, and more than once. This is a particular pain if you work in Word, save to Onedrive and then upload that file through the browser. I’d like this to be a thoughtless and painless process for my class but it is not. This is compounded by the fact you need to put a glow email address into an MicroSoft iPad app, this them loads the RM Unify logon where you need to use your glow username and password. Given you can use your glow email in place of your username this make the tip even more useful. iOS has a text replacement function. You can type a shortcut and the predictive text will offer the expansion to insert. You set these up in the Setting App, General-> Keyboard- Text Replacement, the phrase would be your glow email, the shortcut something memorable, not part of a real word. We used gw and initials, so mine is gwjj. 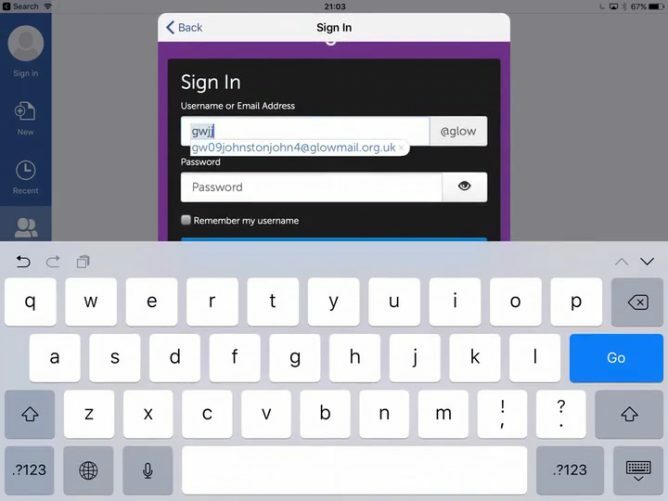 Here is a gif showing how much easier it it to log on with a shortcut. As a bonus, some of the pupils in my class added other shortcuts, for example d: for define: which hlps find the meaning of words in google. In past years I often written reviews of the years blogging, this year I am a little lazier this is a wordle for the titles of the 90 posts I made here this year. If you have a Glow Blog and have activated the Jetpack plugin, you can get snow on your page by visiting the General section of the Settings on your dashboard. The talk will give a view of how blogging with WordPress fits well with Scottish education’s ‘Curriculum for excellence’. 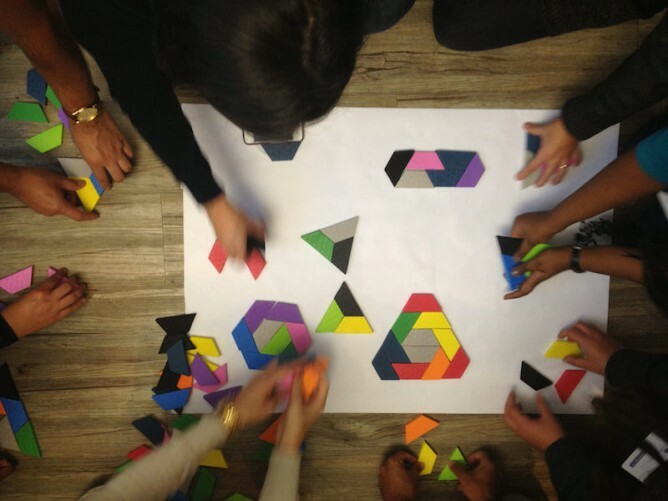 Some loose linkage of Community, Connections & Openness in software and education. How Glow blogs, a set of 32 multi-sites with a total of >160,000 blogs are used and are developing. Some notes of the ‘Product Owner’ role and working at large scale to fit the needs of stake holders from a wide range of ages and needs. 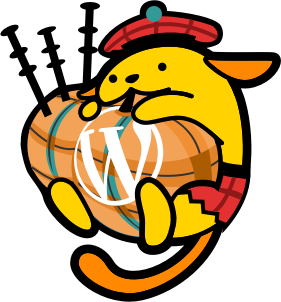 I am talking about Glow Blogs next week at WordCamp Edinburgh not my usual audience of colleagues so wish me luck.